If you like to get the most bang for your buck, the S40 will impress you with its style, content and price. Long known for its emphasis on safety, Volvo carries on the tradition with side-impact and side-curtain airbags, Whiplash Protection Seating System and other safety features. The safety record for Volvo makes me more relaxed when driving you can feel the weight of the car I love the heated seats options they are leather and have good support and are very comfortable like you are sitting in your recliner it drives very smooth and handles very well since it is an older vehicle but well taken care of I like the message center to let you know when servicing needs to be done and what issues are needing attention I love my Volvo and would definitely buy another one. 2007 Volvo s40 turbo luxury edition. Beautiful luxury vehicle with tons of personalized options. The only issue I have had so far is with the alternator! Its very hard to find a reputable mechanic who knows the correct type of alternator to install (oem numbers, diode charge). Otherwise runs beautifully, averages 25 miles per gallon, turbo makes for quick pick up, lots of trunk space, lots of leg space in back. All good things to say as long as you take care of this car, it will last! Good car with a few quirks! Pros: very safe & reliable. The car is very nice to look at. Even with its 'small' size it is very roomy. Cons: they do not have an option for defrost and heat on features at the same time, and to make it work you usually need to have the ac running as well. The back wheels are aligned for performance so your tires get chewed, and need replacing very often. Should I buy a Volvo S40? 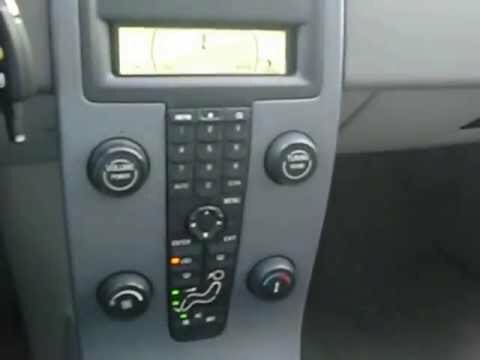 Volvo S40 review - What Car? VOLVO IS RECALLING 1,114 MY 2007 C30, C70, S40, AND V50 PASSENGER VEHICLES. A SOFT ANODIZED LAYER IN THE MASTER CYLINDER MAY TRIGGER EARLY WEAR ON A RUBBER SEAL THAT CAN RESULT IN INTERNAL LEAKAGE OF BRAKE FLUID. IF AFFECTED, THE DRIVER MAY EXPERIENCE REDUCED BRAKE PERFORMANCE WHEN APPLYING AND MAINTAINING FORCE OF THE BRAKE PEDAL. THE CAPACITY TO BRAKE WILL GRADUALLY DETERIORATE FORCING THE DRIVER TO USE A HIGHER THAN EXPECTED FORCE ON THE BRAKE PEDAL WHEN COMPARED TO AN INTACT BRAKE SYSTEM. THE DETERIORATION CAN EVENTUALLY RESULT IN COMPLETE LOSS OF THE BRAKE SYSTEM FUNCTIONALITY INCREASING THE RISK OF A CRASH. DEALERS WILL INSPECT THE MASTER CYLINDER. THE BRAKE MASTER CYLINDER AND BRAKE FLUID RESERVOIR WILL BE REPLACED AND CERTAIN BRAKE LINES CLEANED FREE OF CHARGE. THE RECALL IS EXPECTED TO BEGIN DURING MARCH 2008. OWNERS MAY CONTACT VOLVO AT 1-800-458-1552.